It’s been a long, cold, grey and wet winter, but at last the lengthening days and rising temperatures mean we can cheer ourselves up and get growing. 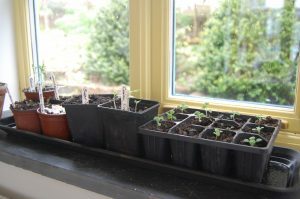 In this post I cover what’s best to sow from seed, buy in as young plants, or wait and buy ‘finished’ plants later next month…… advice that could save you quite a bit of money, too. Every year the seed and plant catalogues become bigger, brighter and fuller of temptation. Once upon a time they only sold seeds, but now you can buy plants in a whole range of sizes from seedlings through to different sizes of ‘plugs’ (baby plants) right through to full-sized garden-ready ones. 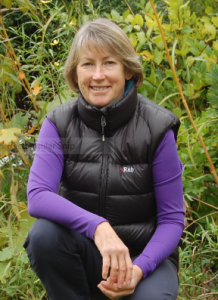 Never overlook your local nurseries and garden centres either: sometimes the best plants and value are right on your own doorstep, and without the environmental negatives of lots of plastic packaging too. It’s so easy to be seduced by gorgeous catalogue and website pictures as well as special offers, but taking a bit of time to plan what to grow is time well spent. First and most importantly, check out whether a plant is hardy and therefore suitable to sow outside now: these are hardy annual flowers, and vegetables such as carrots, lettuce, beetroot, peas, brassicas and mixed salad leaves. Half-hardy annuals and tender vegetables (like French and runner beans, courgettes, pumpkins, sweetcorn, tomatoes and cucumbers) won’t tolerate any frost and need to be grown under cover, with a bit of supplementary heat if anywhere cold like a greenhouse or porch. 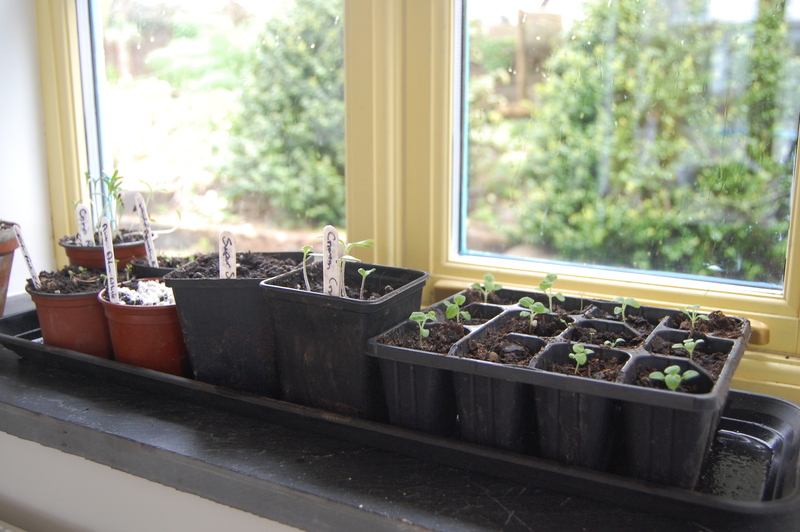 However, it’s amazing how much can be grown on a well-lit windowsill. Just be fairly modest in the number and variety of seeds that you sow – remember that a few seedlings will soon need potting on into their own individual pots, and will need to be protected until they can go outside later on in May. I love the excitement of receiving a package of seeds and knowing that in my hands I hold literally hundreds, if not thousands, of potential flowers and delicious crops. But when it comes to tender plants, some of which can be tricky to raise from seed, or costly if you only want two or three, it’s often better to buy these as plants. A few examples are busy lizzie, geranium, petunia, cucumber and tomato. These usually offer good value for money and still give the satisfaction of raising plants almost from scratch. As soon as you buy them from a garden centre or receive them through the post, they need to be potted into individual containers (8cm pots are usually the right size), so do keep the issue of space in mind for tender plants that need to be kept under cover as described above. While many plug and seedling plants are good value, watch out for those which aren’t – I get quite cross to see easy to grow flowers and veg that are hugely overpriced. Here are some catalogue examples that I’ve seen – and bear in mind a pack of (many more) seeds costs around £2-£3 tops. Runner beans £12 for 10 plug plants; Ammi (a beautiful hardy annual flower), £9.95 for 10 seedlings; Cosmos £12.95 for 15 seedlings; mixed salad leaves £11.95 for 30 seedlings. So, buyer beware, is all I have to say. If you have any sort of covered space in your garden like a greenhouse, polytunnel, cold frame, cloche, even a makeshift cover like old windows propped on bricks, get a head start on the season by sowing hardy flowers and veg in containers which can be transplanted outside in mid to late spring. This can pay dividends in terms of earlier results, particularly in seasons like this one that have been so diabolically cold and wet. I sow in modular trays (usually re-used from previous years’ bedding plants) and use peat-free multi-purpose compost, putting two or three seeds in each module. I like doing this with veg to get early crops, and with flowers so I can pop the little plants into spaces that aren’t yet ready at this moment in time. Hardy annual flowers: Ammi; Californian poppy (Eschscholzia); pot marigold (Calendula); cornflower, Echium ‘Blue Bedder; sunflower. ‘Cornfield’ annuals. A mix of corn poppy, corn marigold, cornflower and pheasant’s eye which will be abuzz with bees all summer. Needs recently disturbed ground to germinate (which is why we see swathes of poppies around road works, and why the poppy became the emblem of the First World War. Simply rake or lightly dig the top couple of inches of soil, scatter seed, rake lightly to cover. Love-in-a-mist (Nigella). Outstandingly pretty frilled flowers. Nasturtium. Great for children to grow as the large seeds can be pushed into the ground, pots or hanging baskets. Choose climbing varieties to scramble up trellis or over other plants. Pot marigold (Calendula). Colourful orange flowers which are edible too – use as a pretty salad garnish. Poached egg flower (Limnanthes). Lovely for edging and great to attract pollinating insects: I sow it around my vegetable beds for this reason.